Trees are familiar components of many landscapes, vital to the healthy functioning of the global ecosystem and unparalled in the range of materials which they provide for human use. Yet how much do we really understand about how they work? 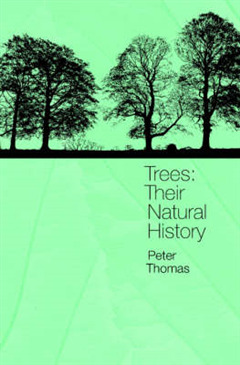 This 2000 book provides a comprehensive introduction to the natural history of trees, presenting information on all aspects of tree biology and ecology in an easy to read and concise text. Fascinating insights into the workings of these everyday plants are uncovered throughout the book, with questions such as how are trees designed, how do they grow and reproduce, and why do they eventually die tackled in an illuminating way. Written for a non-technical audience, the book is nonetheless rigorous in its treatment and will therefore provide a valuable source of reference for beginning students as well as those with a less formal interest in this fascinating group of plants.